When the superstar diva of the past decade doesn’t want to play the hero’s mother on screen, she insists that she be reshaped into the most beautiful woman in the world…by any means. This is just one of the many odd situations which plastic surgeon Dr. Dhruv faces in Mumbai. He has dealt with tyrannical bosses and finicky patients while undergoing his training, during which he has also won over a stunning doctor as his life partner. But satisfying the movie stars is a different ball game, because every girl wishes to have bee-stung lips, and every guy wants to flaunt a six-pack abdomen without working too hard. And all this while, he has to resist losing his balance over his ravishing female clients. Dr. Dhruv’s journey surpasses even a masala movie for humour, drama and action. 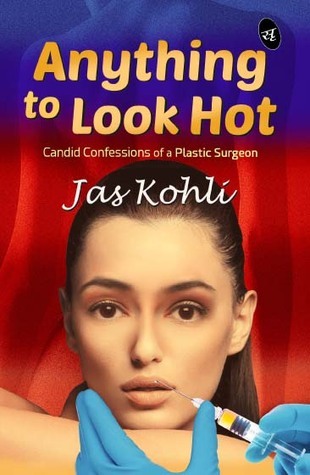 In debunking many a myth about cosmetic surgeries, the book will enthrall those who can do Anything to Look Hot. 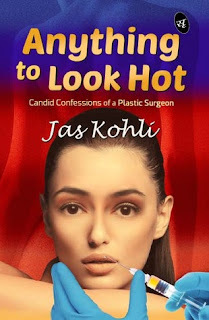 When Dr. Jas Kohli started training in plastic surgery twenty years back, he hadn’t imagined that one day he would be exposing the secretive world of plastic surgeons and their clients. Apart from his interest in writing, he also enjoys astronomy, music and bird-watching. Through his writings, he aims to foster a stronger doctor-patient bond. The one word I had in mind after finishing this book was refreshingly different! Because what started as a usual story of small town big city dreams actually took a turn towards something unexpected. The plot is very unique and had me held onto it till the last word. I finished reading the book in 3.5 hours and till the time I finished it I couldn't concentrate on anything else. The glamour industry is one where we all are very curious about a lot of things. This book promises to answer a lot of our doubts and lets us have a peep into their dark world. What is also exciting is the life of a doctor who is the God for all actors and actresses. There are places in the book where you cannot help but find similarities between real life and exclaim hey it seems like XYZ actor. What didn't work for me - too much information on plastic surgery details. As a novice reader some of those graphic details were a turn off for me. I didn't need them to enjoy the story. The story would have been equally exciting even without those portions. Somewhere in between writing this book it ended up looking like the doctor's memoir rather than a novel. Because the ending make me exclaim," WHAT? Did it just end there?" Because maybe I was expecting something more or a better ending I don't know. But if I were to tag it into the category of a memoir the ending felt very apt hence the reasoning. The language of the story is very basic which makes a reader easy to connect and absorb the story easily. Overall, a recommended read for all those who are looking to try something different to read which is exciting and interesting. It is refreshingly different than the usual romance novels that are flooding in the market. 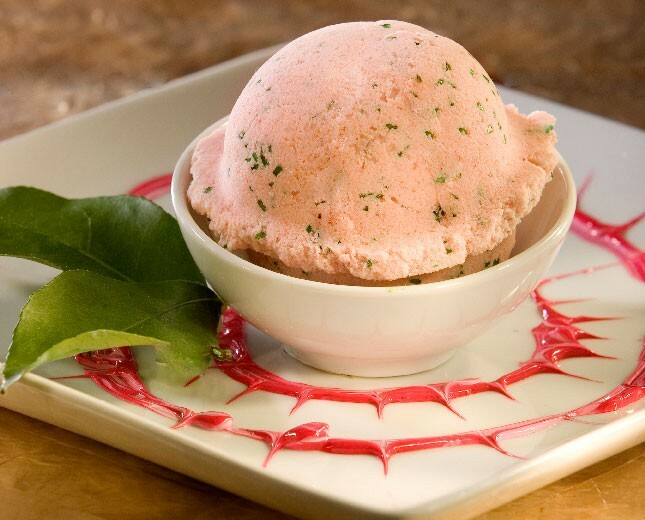 This book is like guava ice cream - refreshingly different!